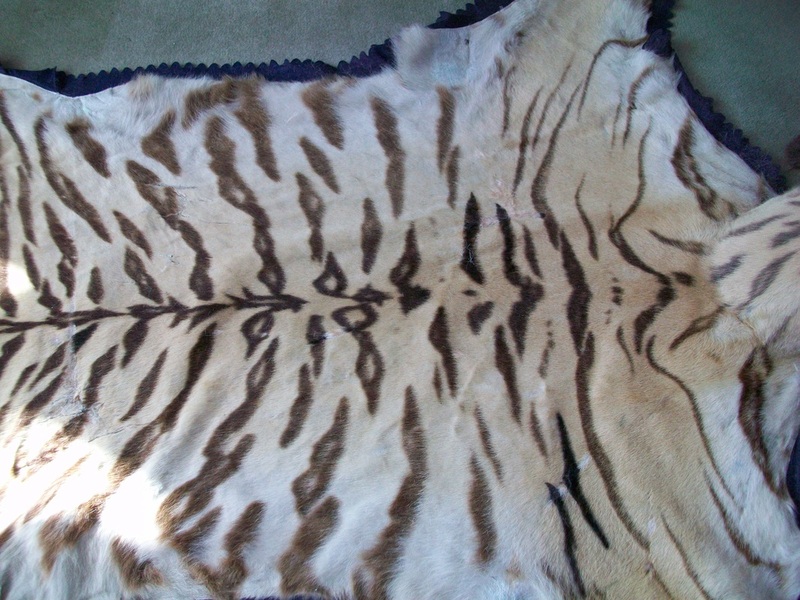 Please contact me about the item you want restored to arrange inspection and quotation. 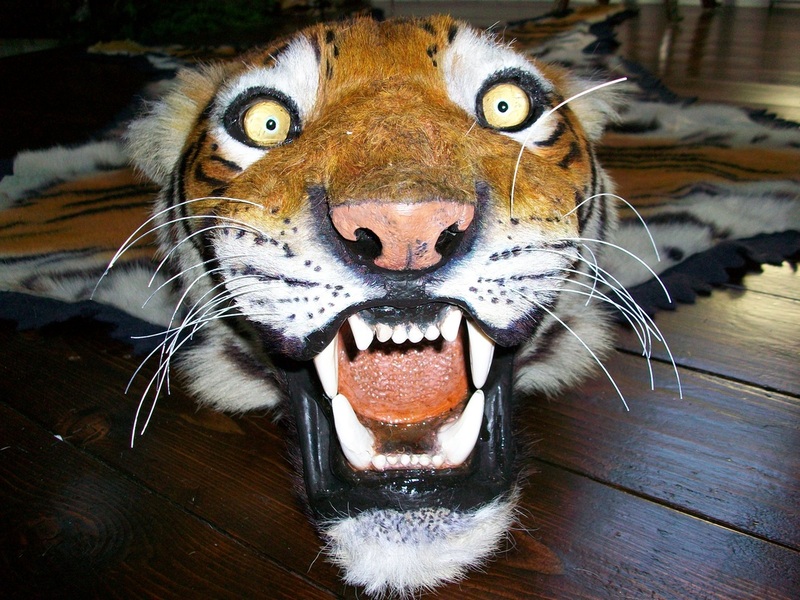 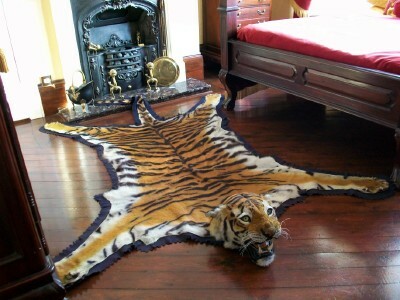 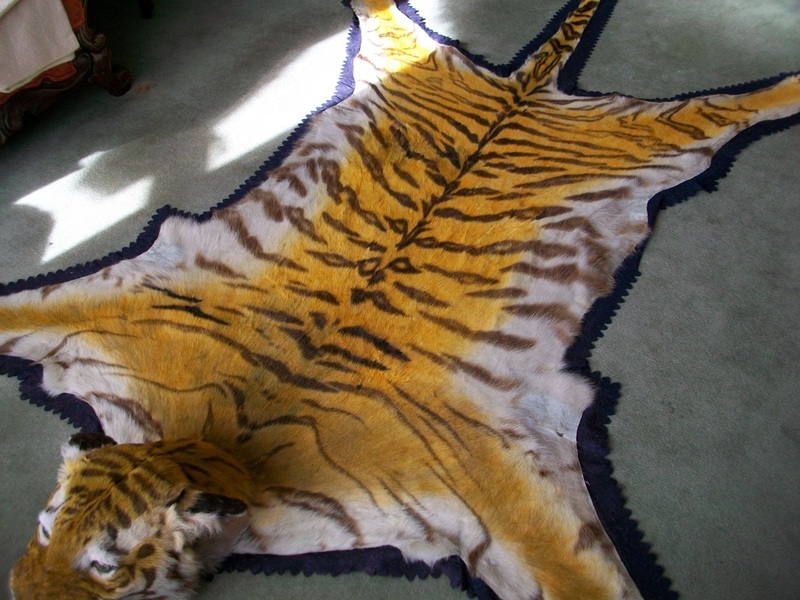 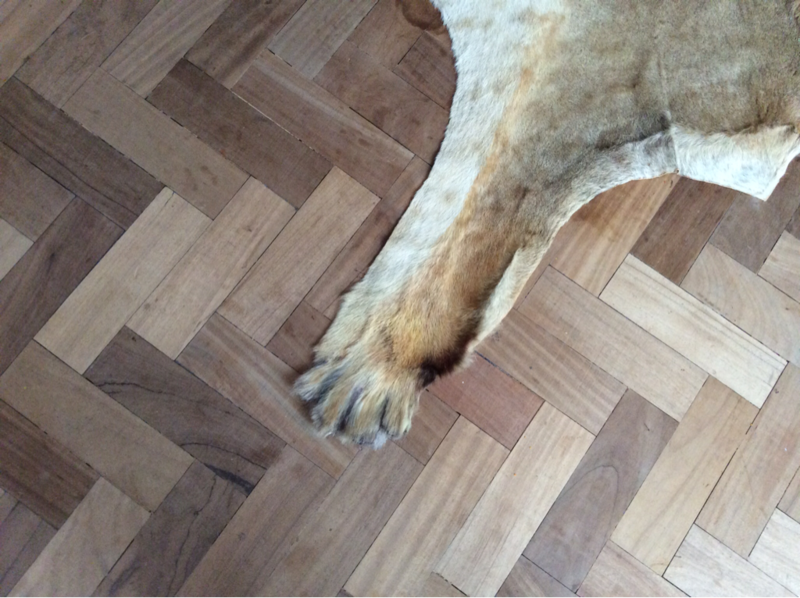 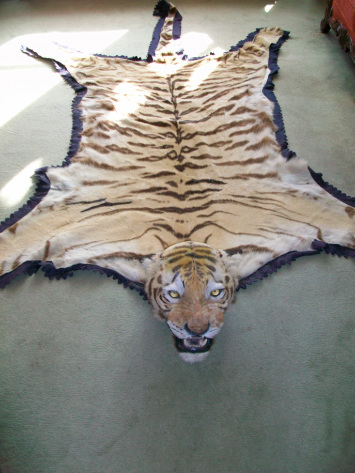 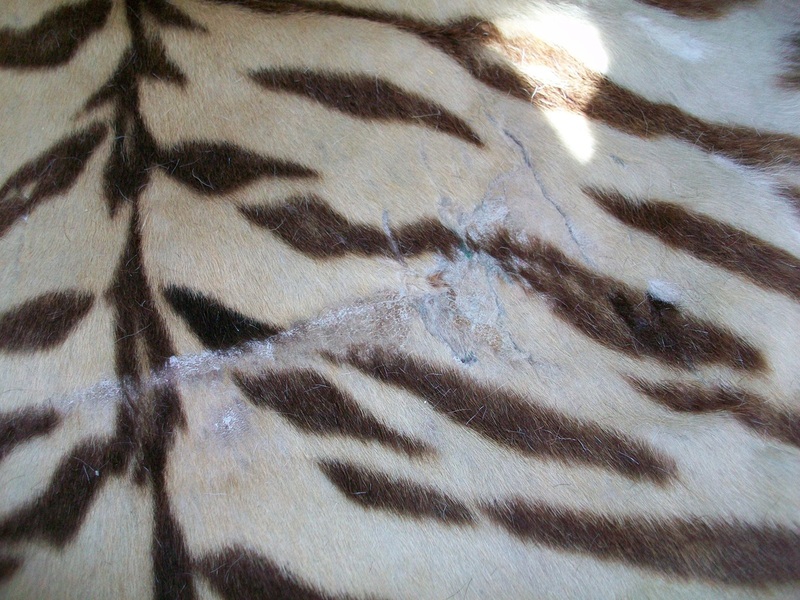 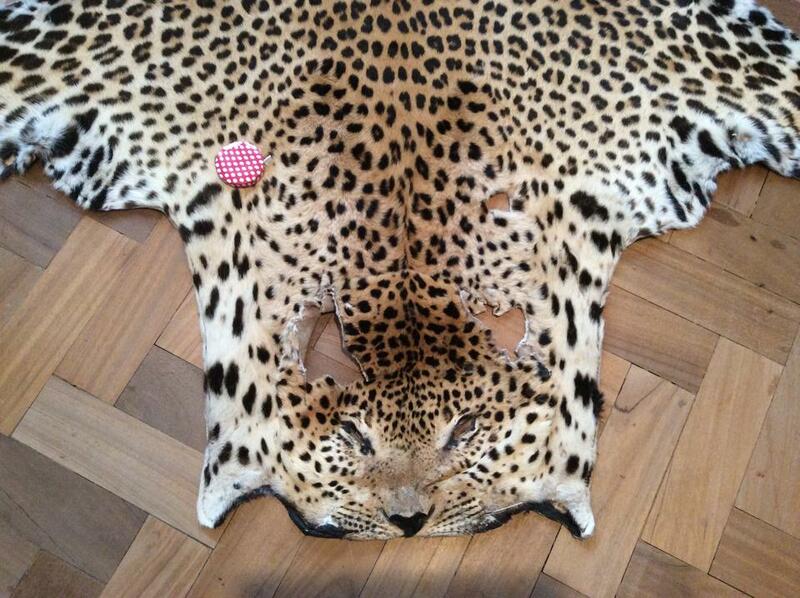 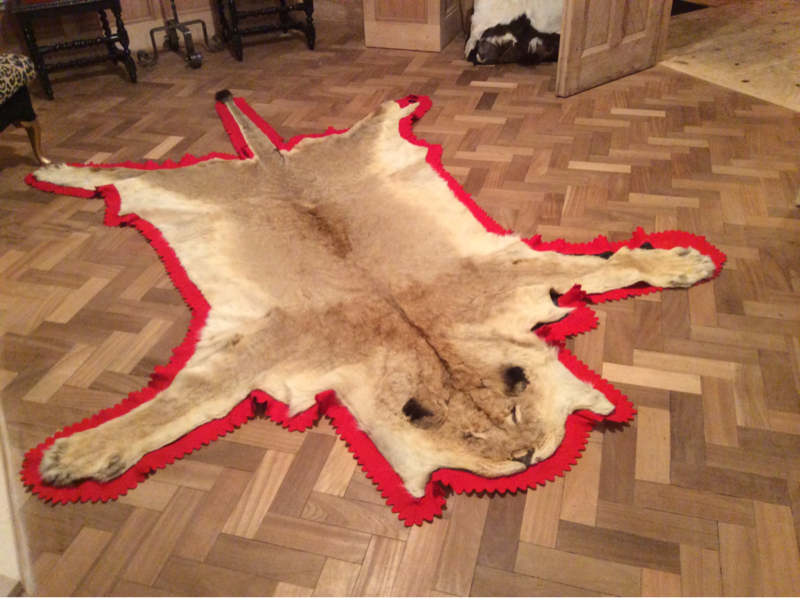 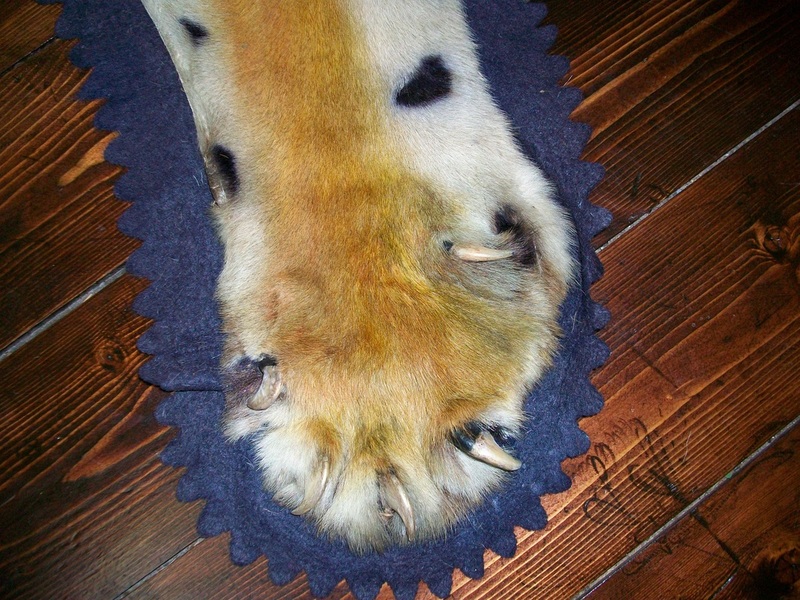 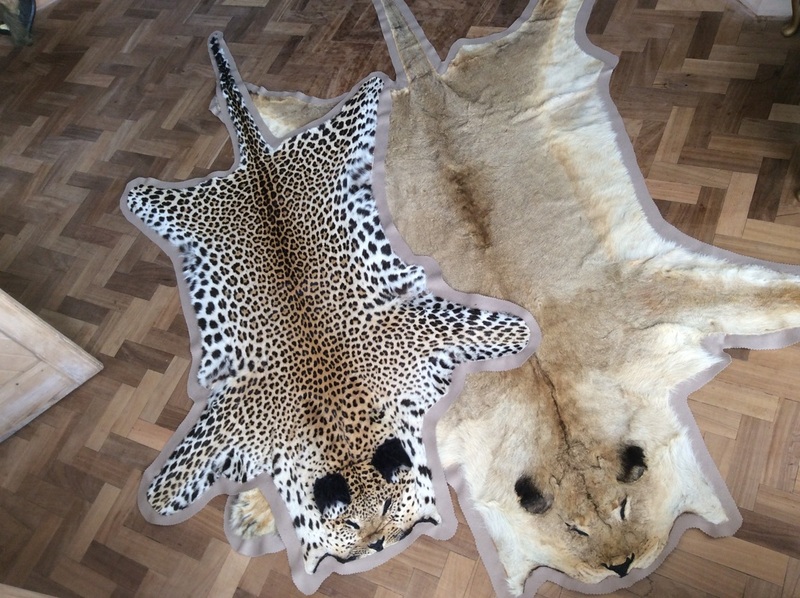 Antique Van Ingen Tiger rug, stages of complete restoration. 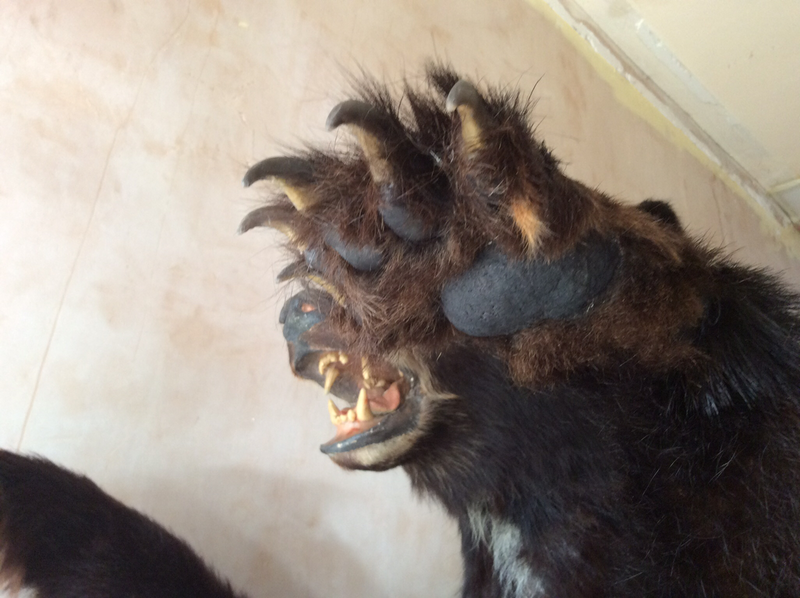 Work started: Re furring nose,eyebrows and ears. 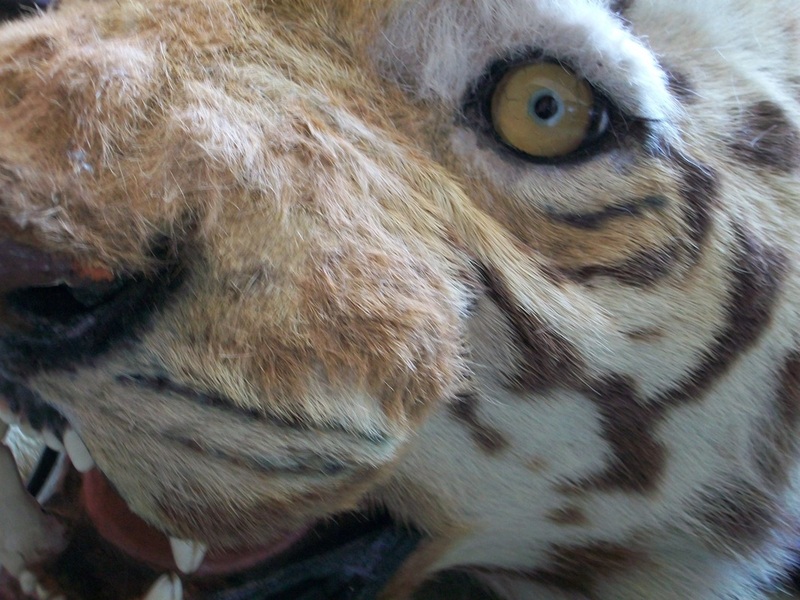 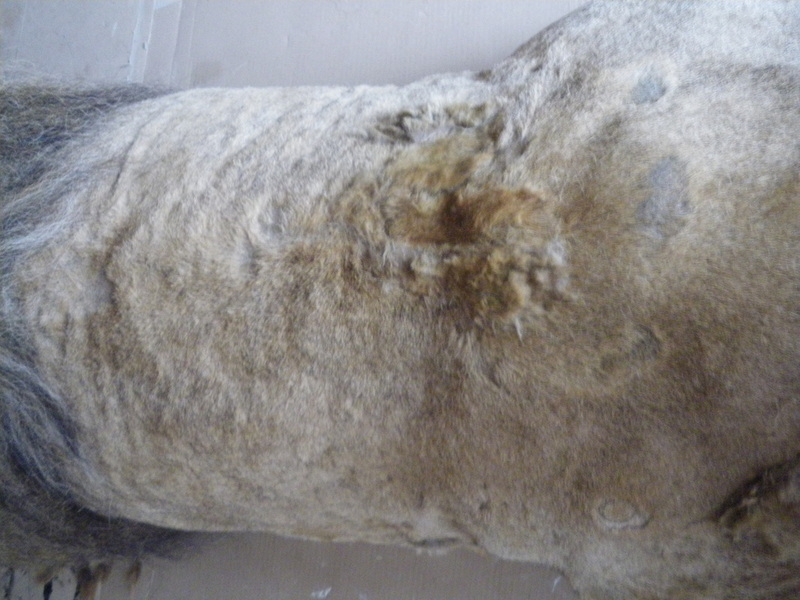 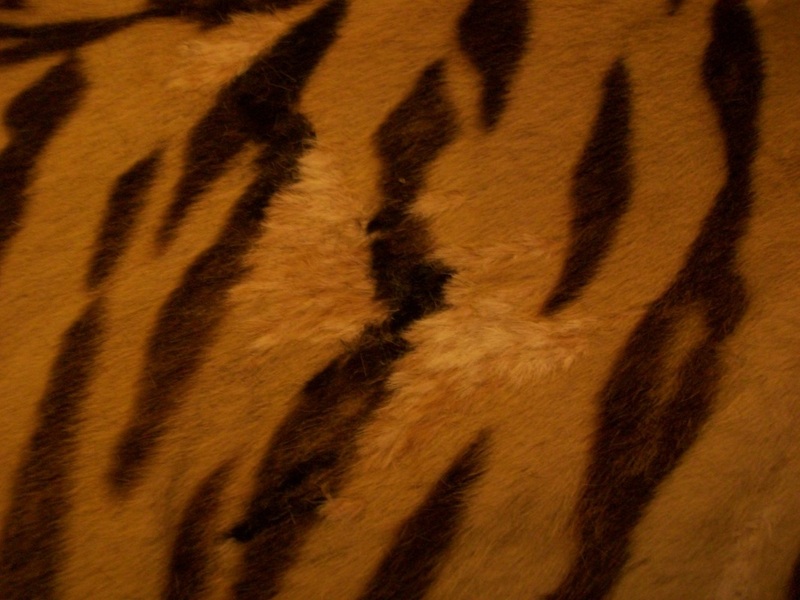 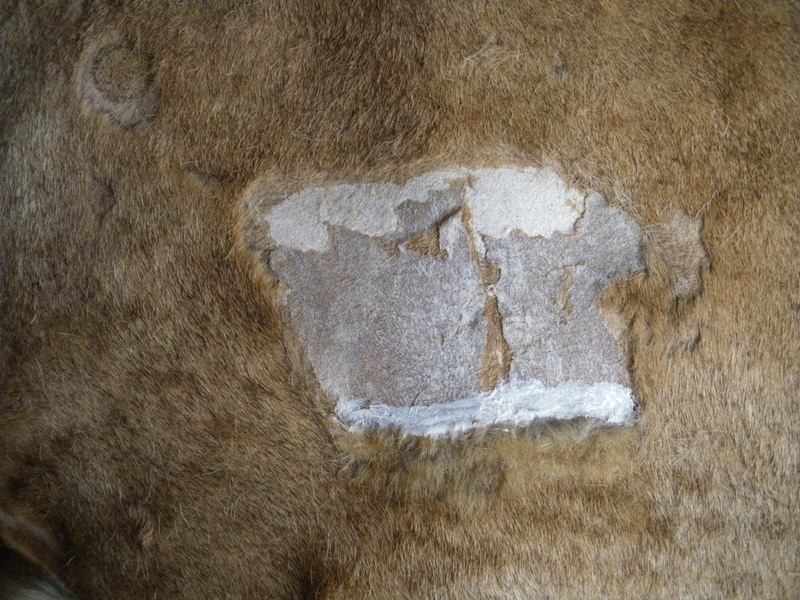 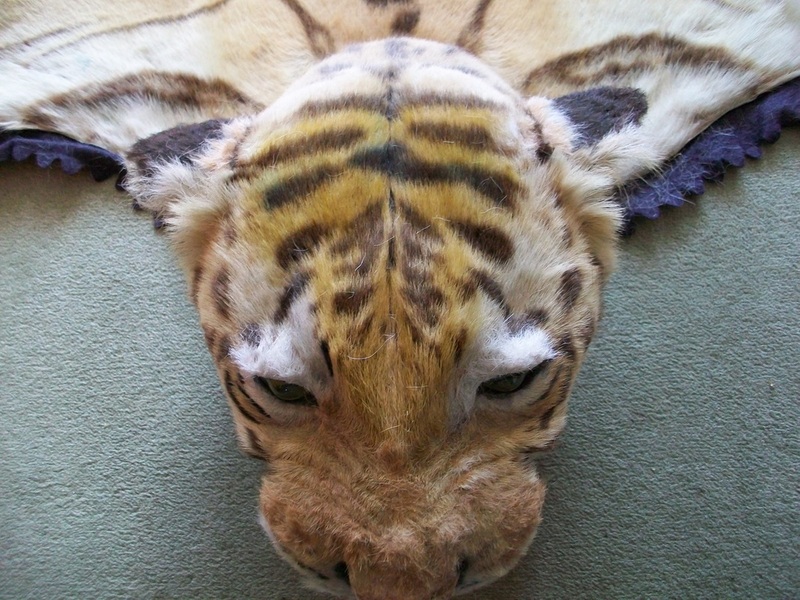 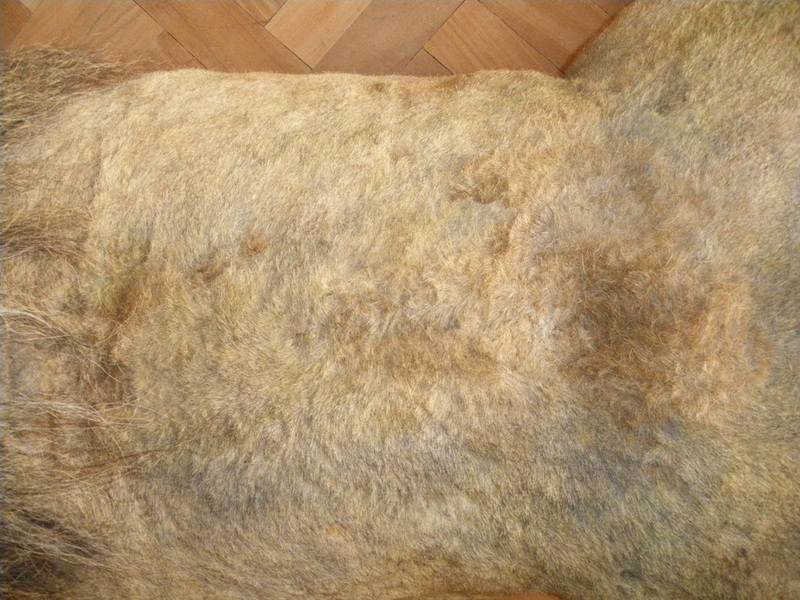 I use real fur as I think it creates a more realistic finish, truer to the original skin. 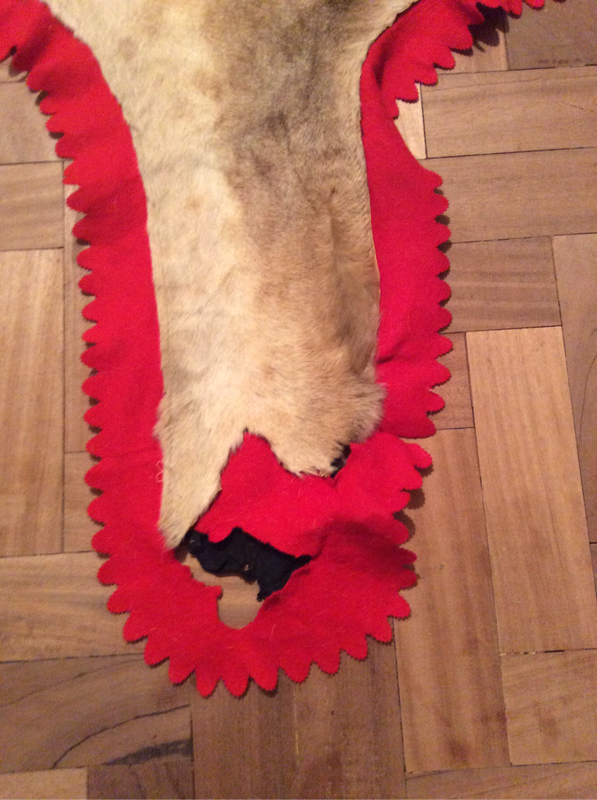 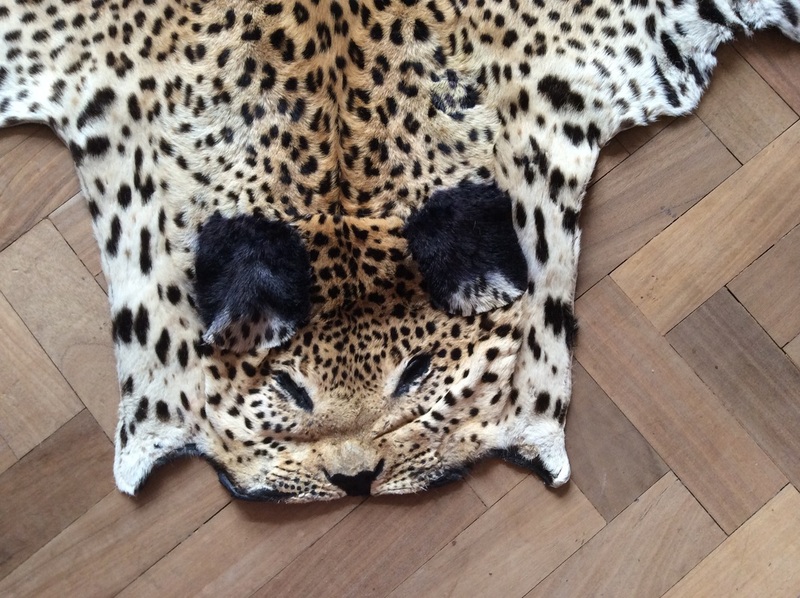 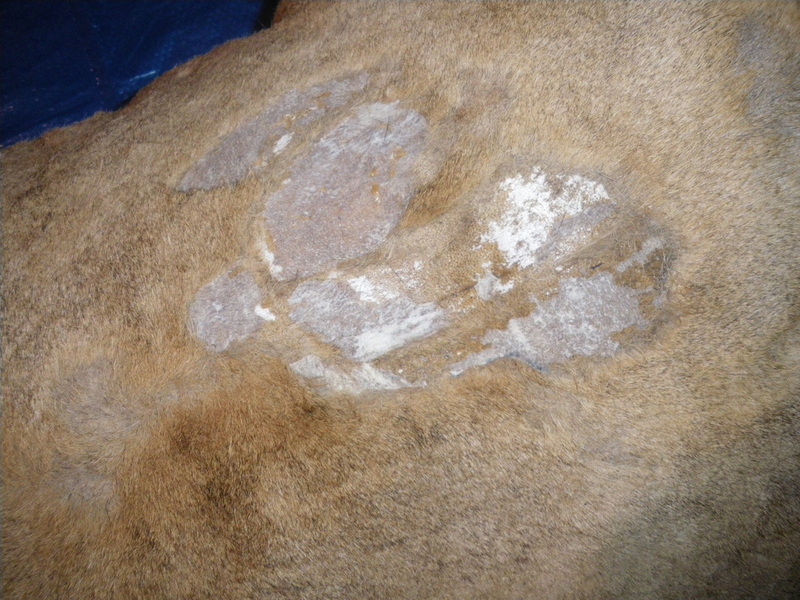 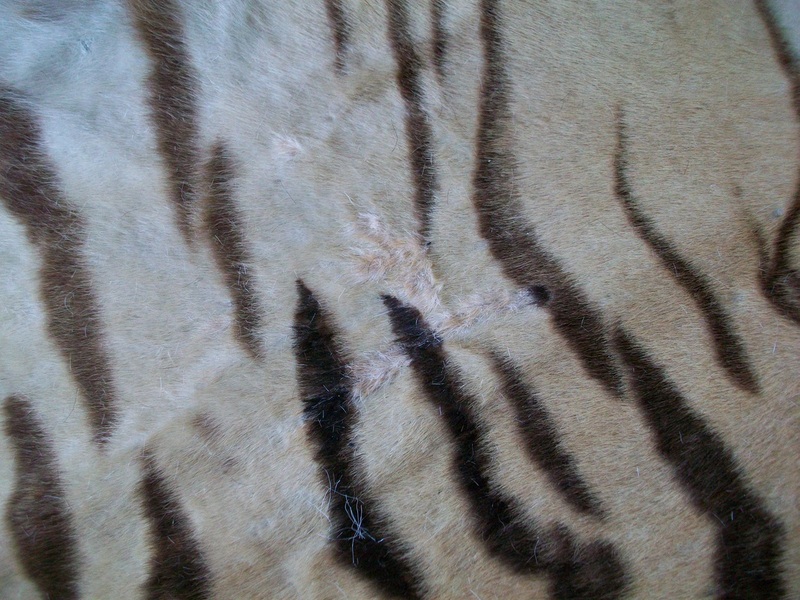 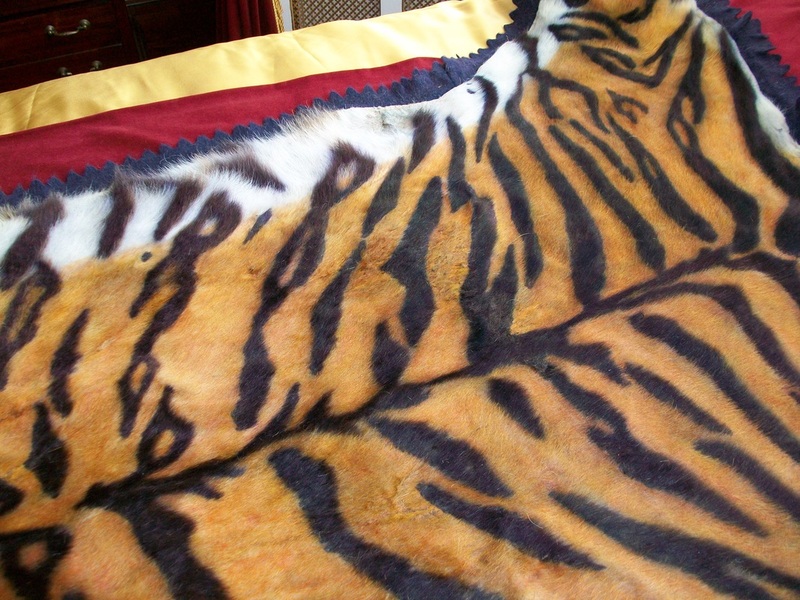 The fur will need to be dyed to match. And here he is completed! 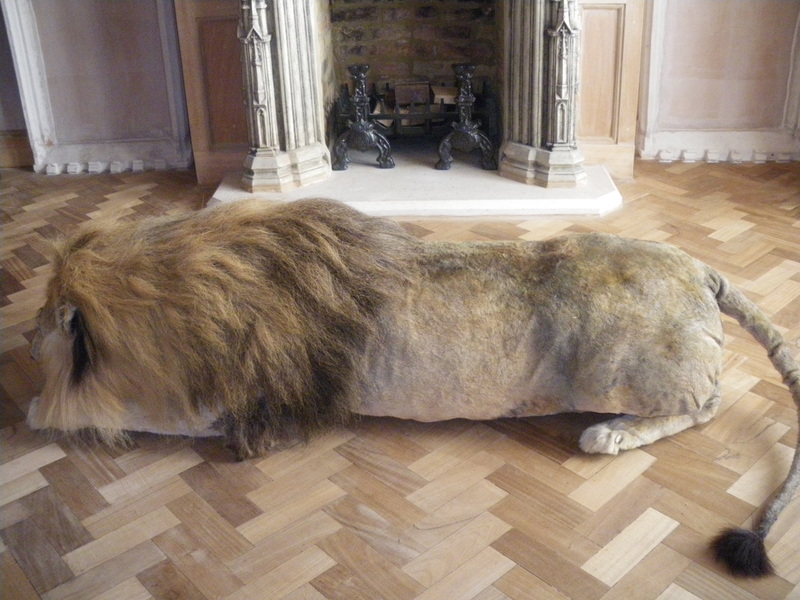 What a handsome beast!... 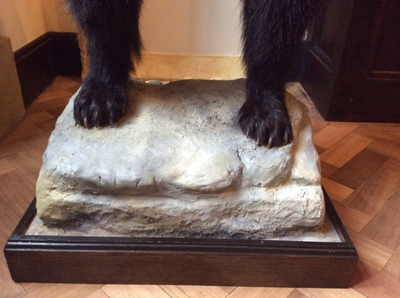 Foot note: this skin has been totally restored to look as fresh as the day he was originally done, but some people still like their pieces to look antique so the colouring would be applied to suit. 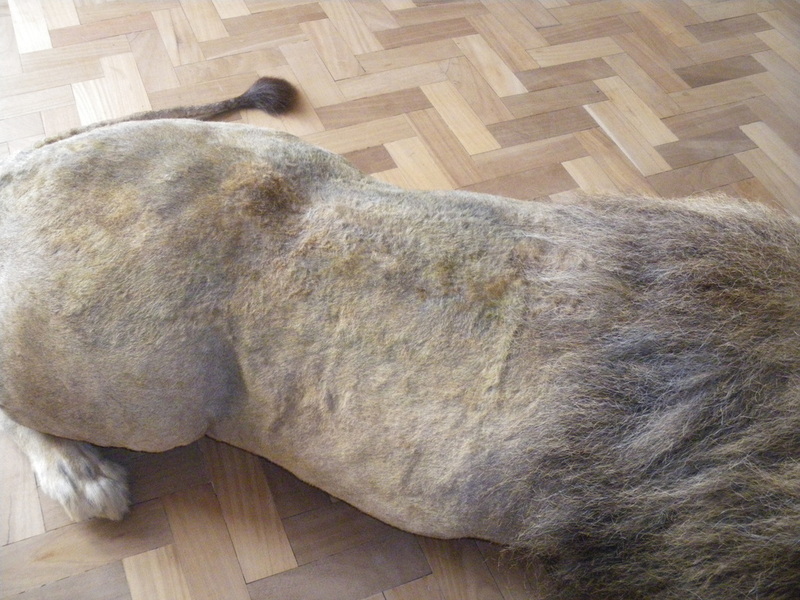 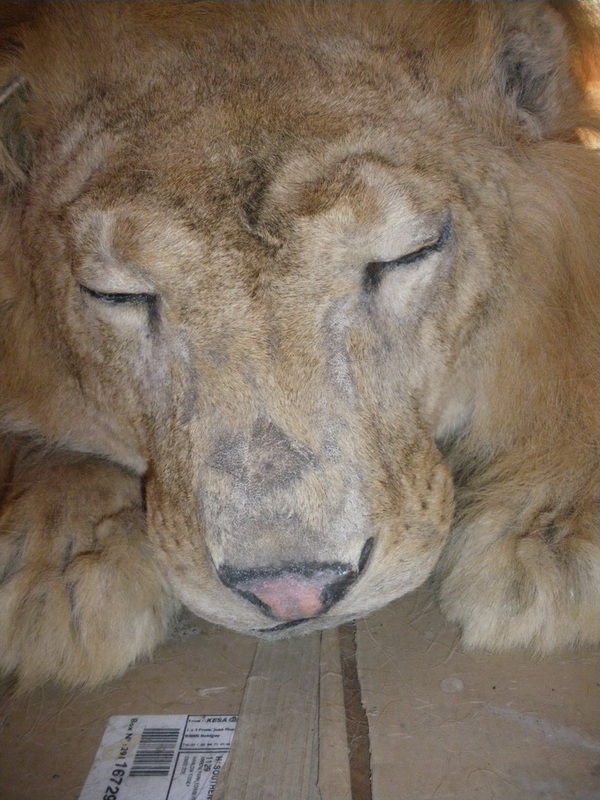 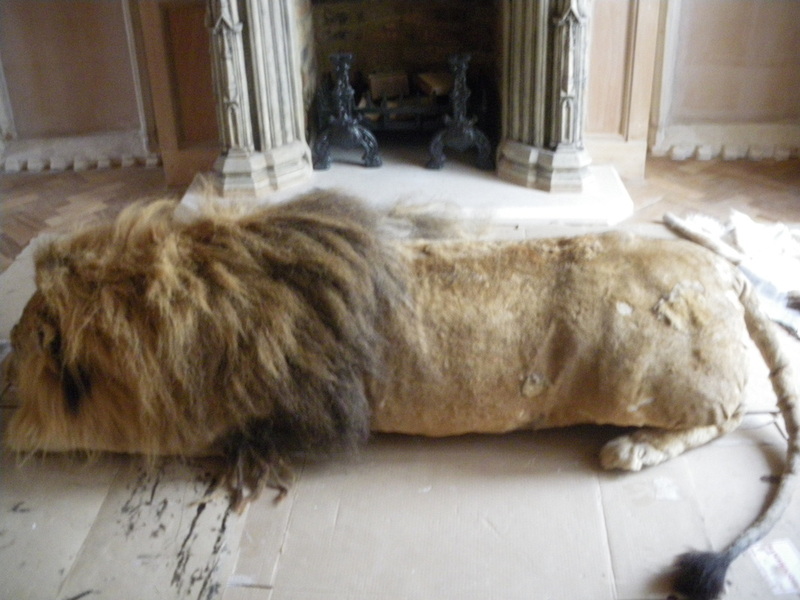 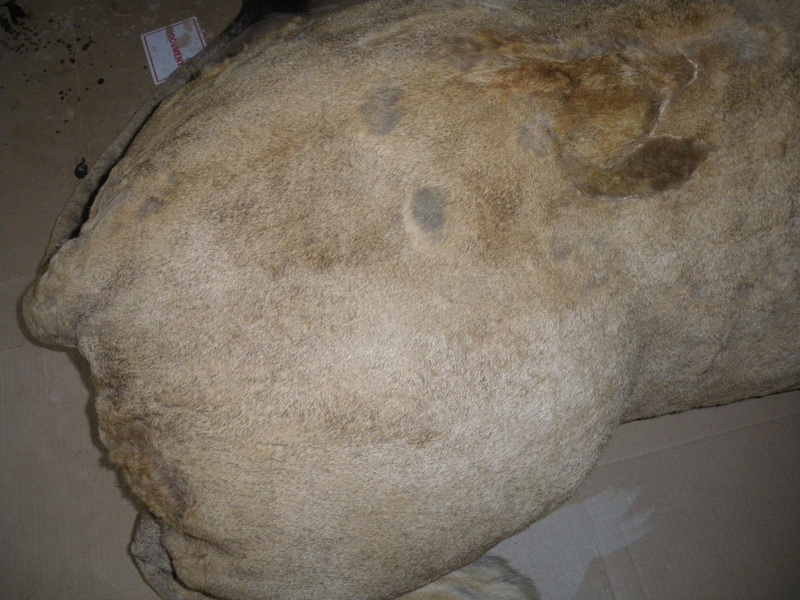 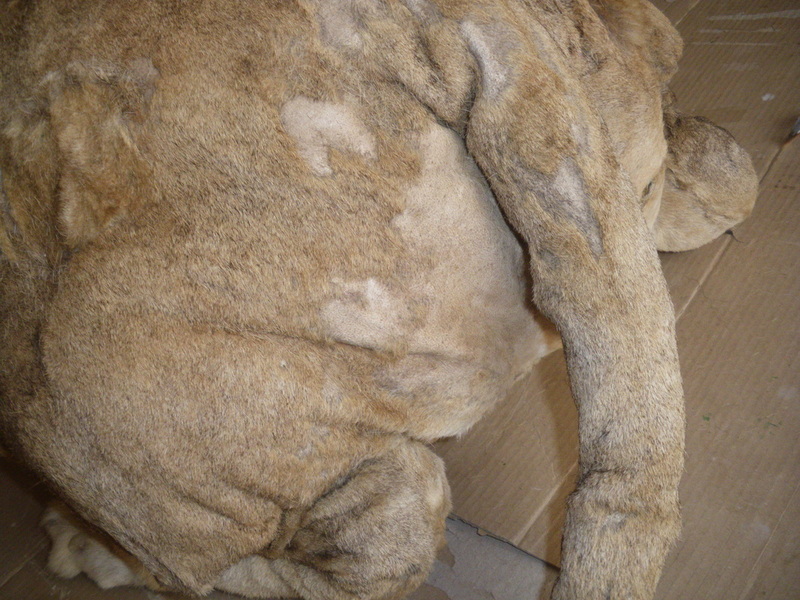 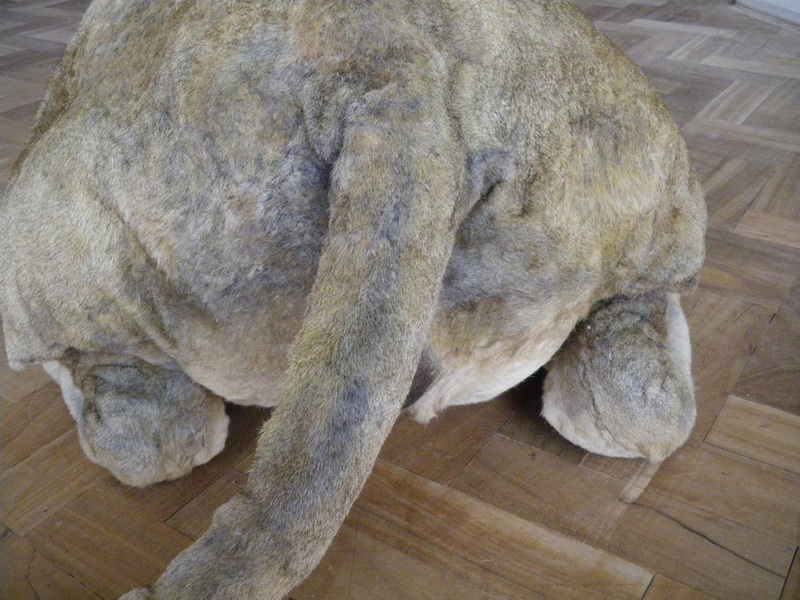 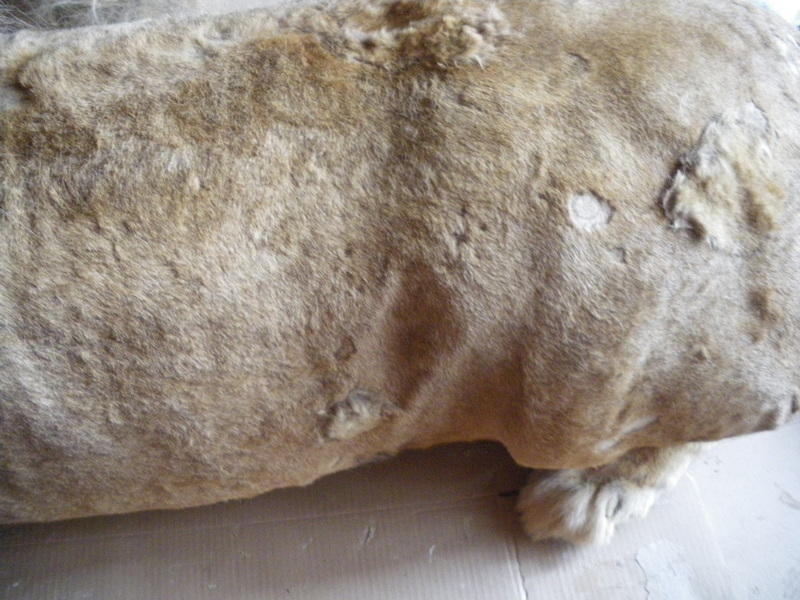 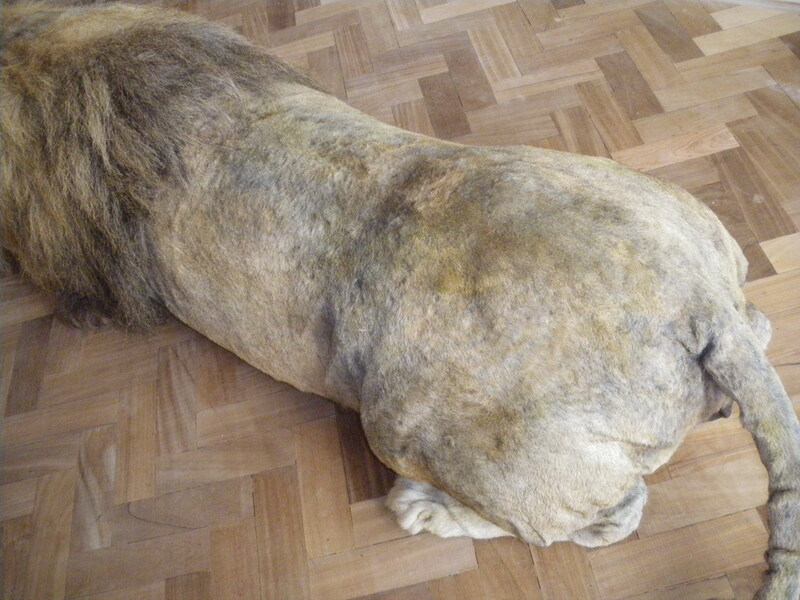 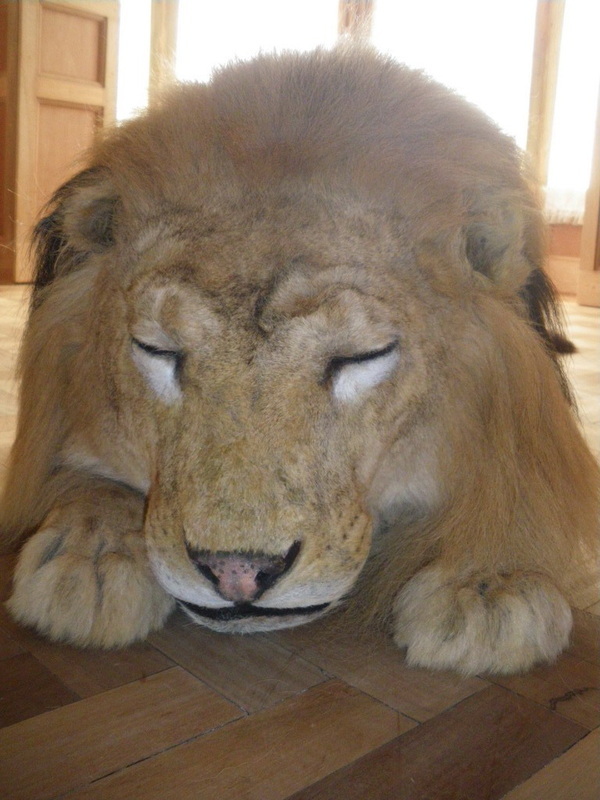 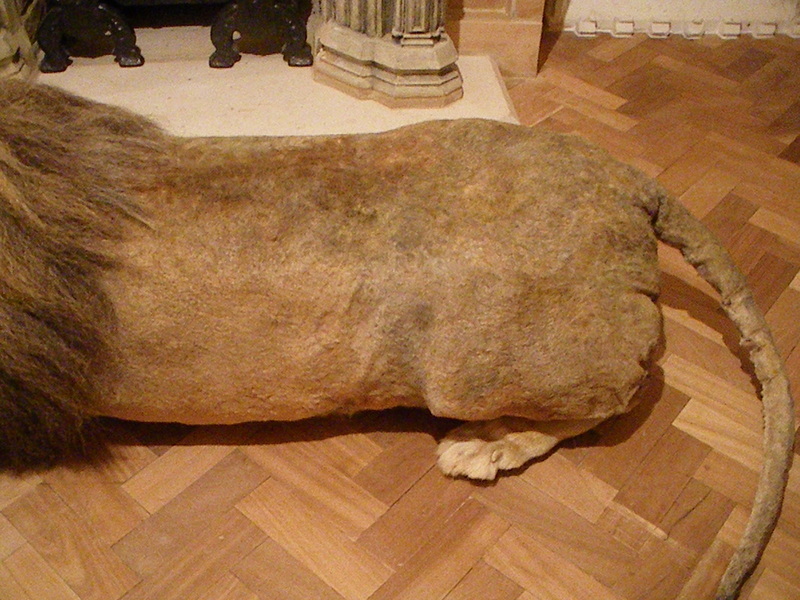 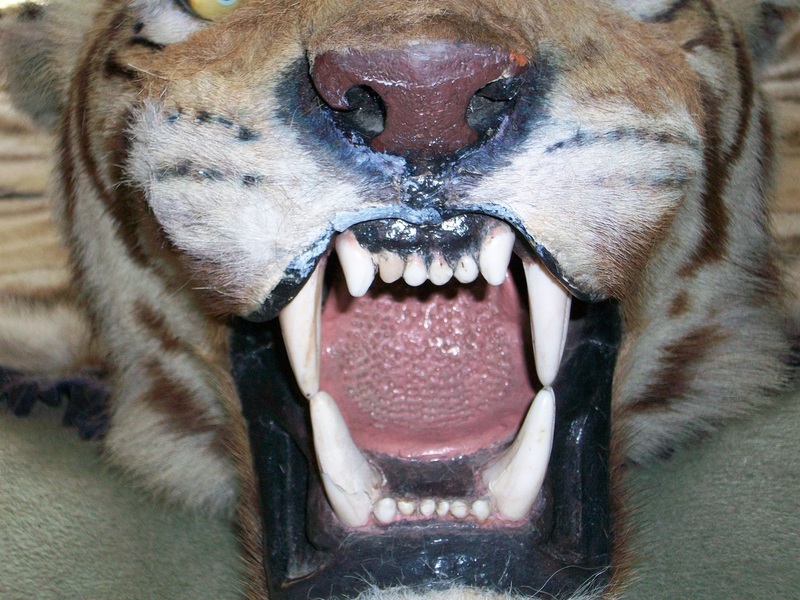 Lion restoration for Christopher Hodsoll antiques, before and after images. 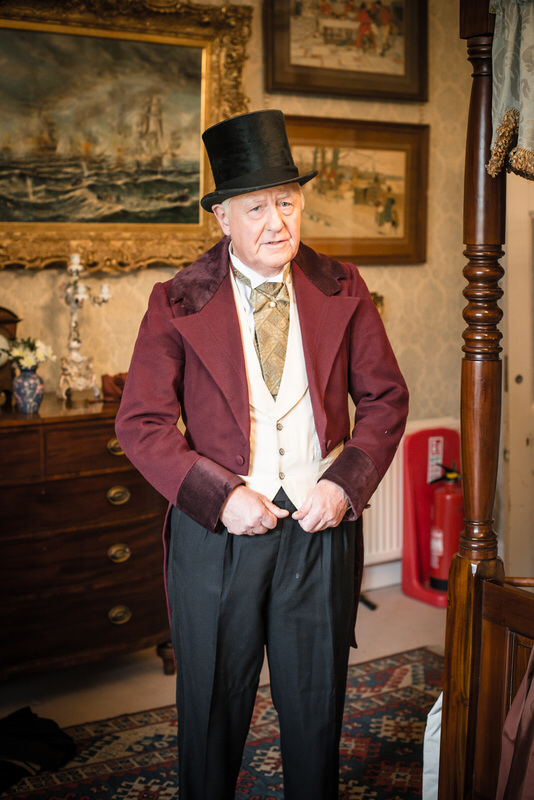 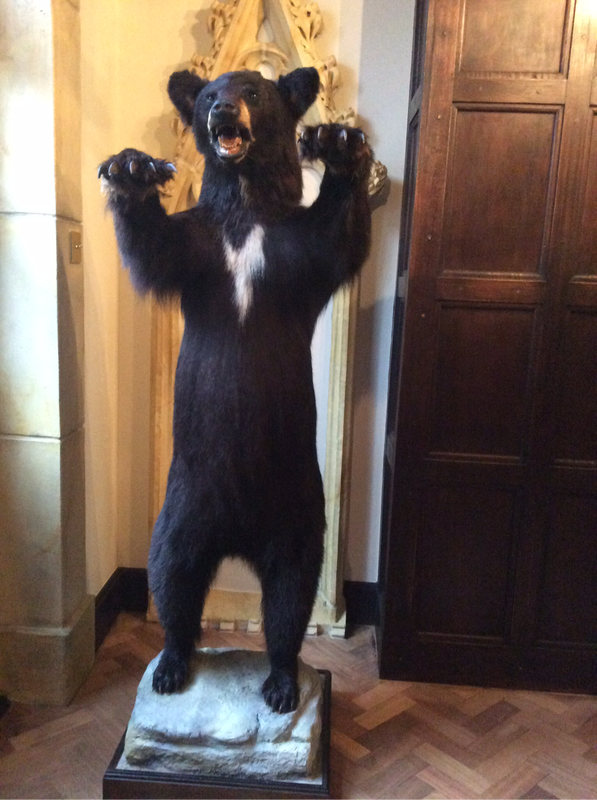 Mr Bear owned by Sir Benjamin Slade of Maunsel House. 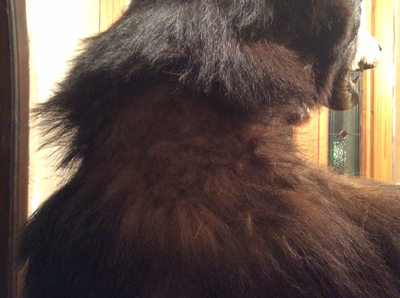 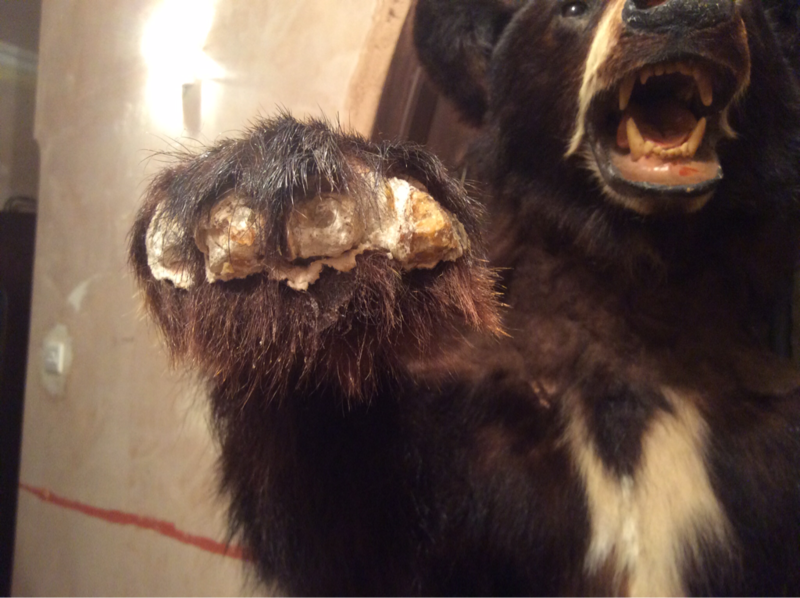 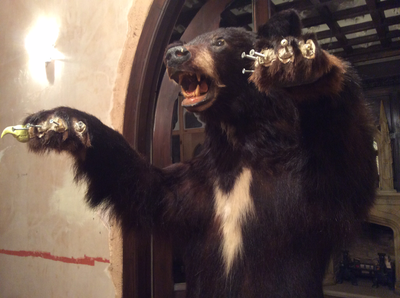 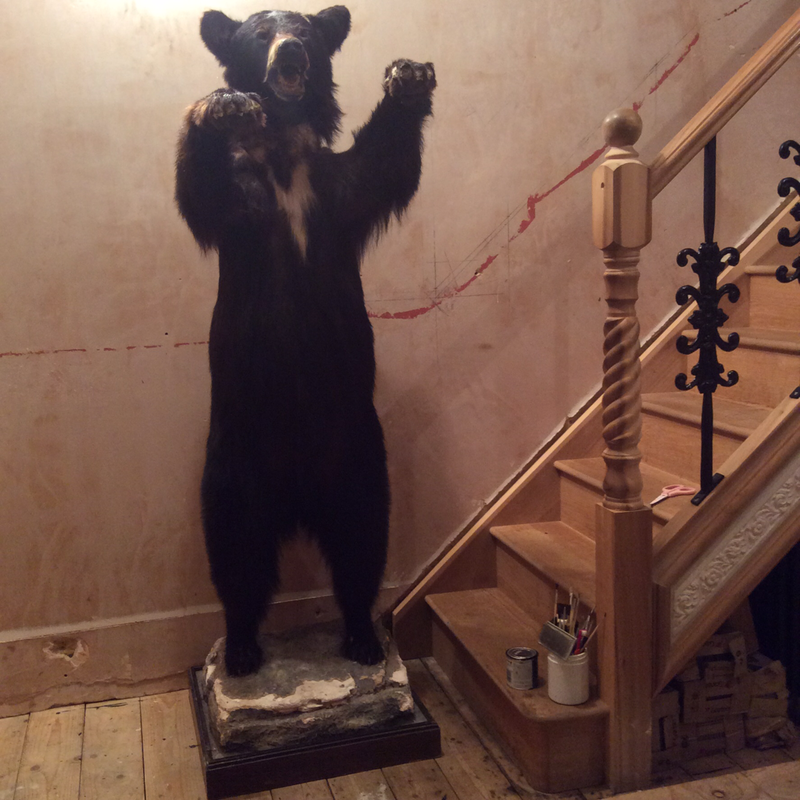 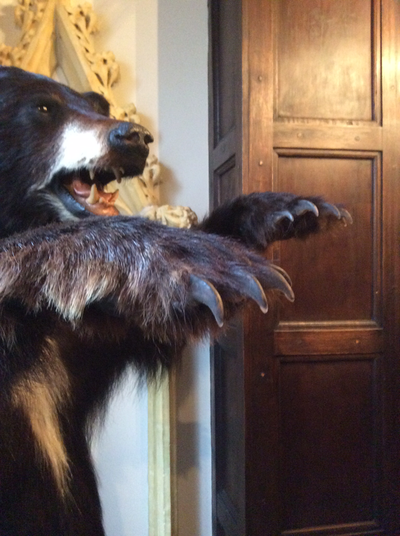 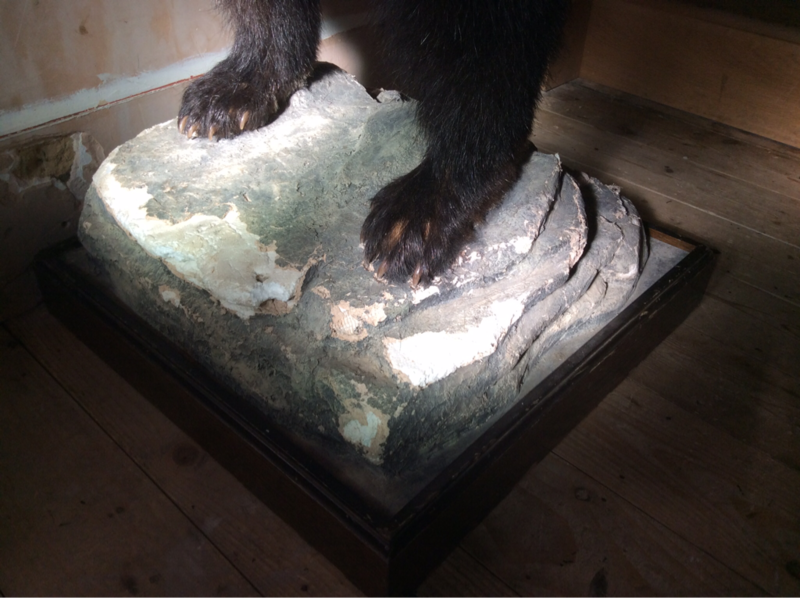 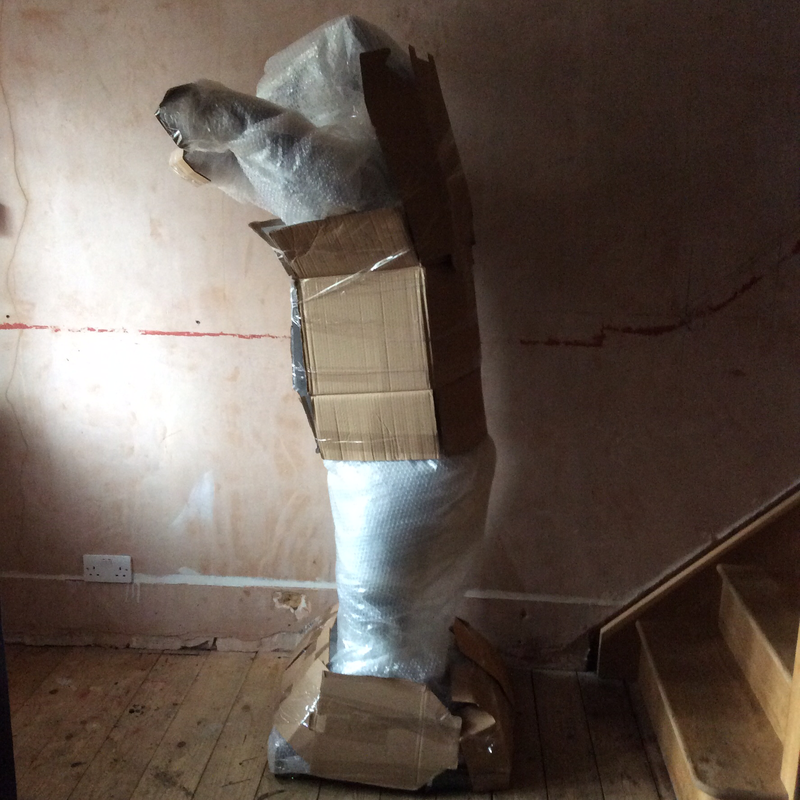 Mr Bear first arrives, he's completely bald all around his neck and all his claws are missing. 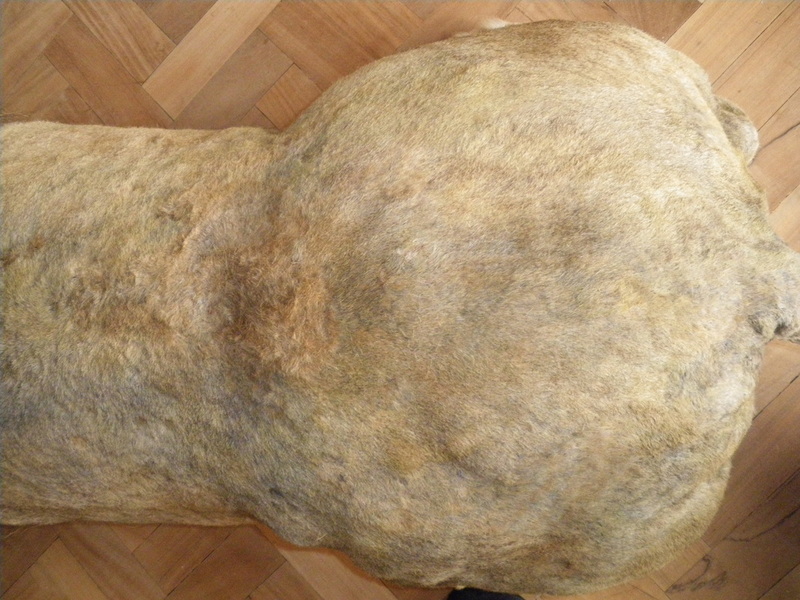 The rock needs attention too! 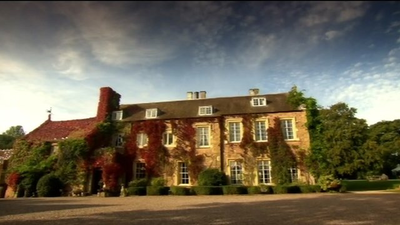 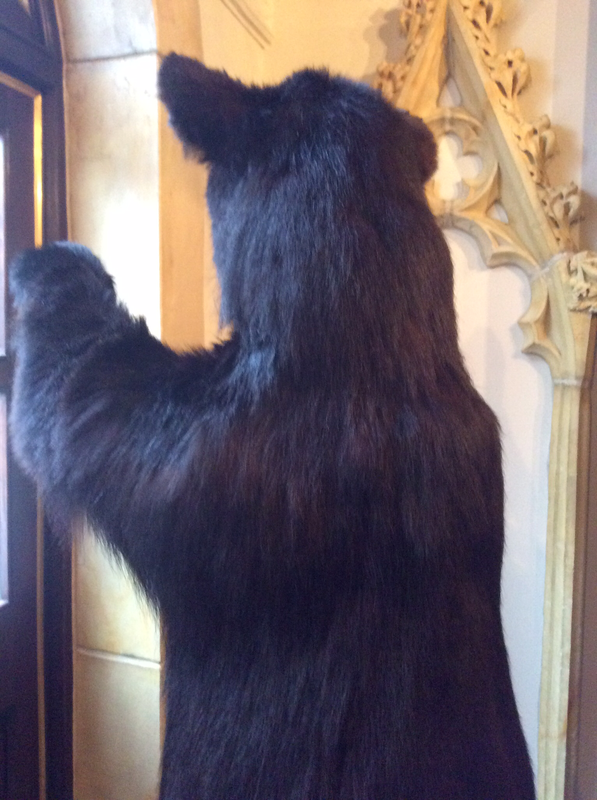 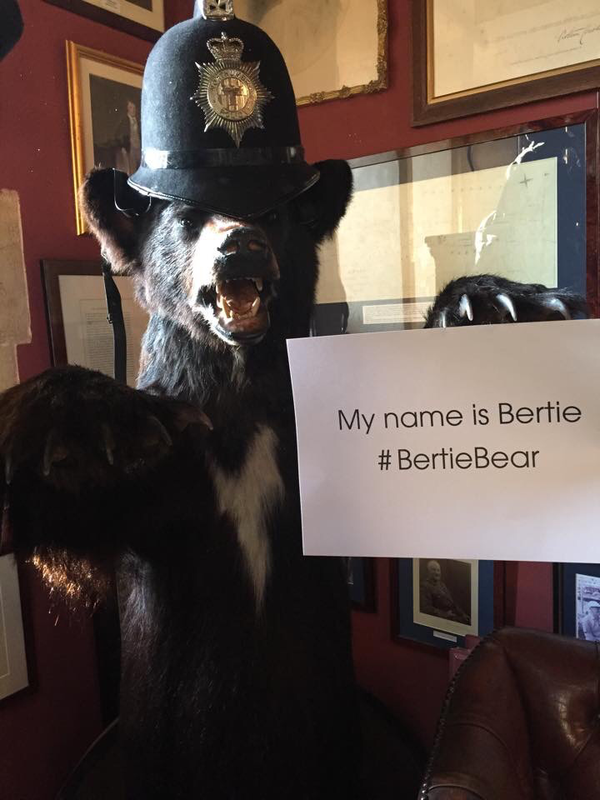 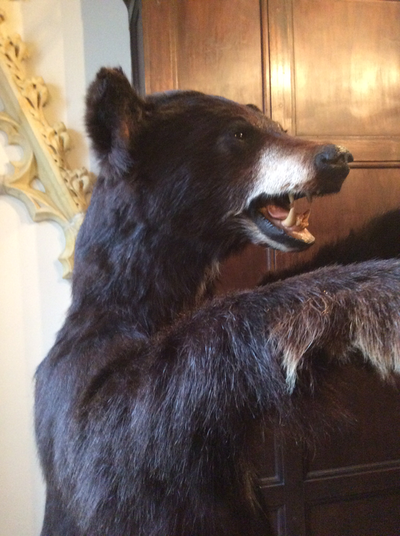 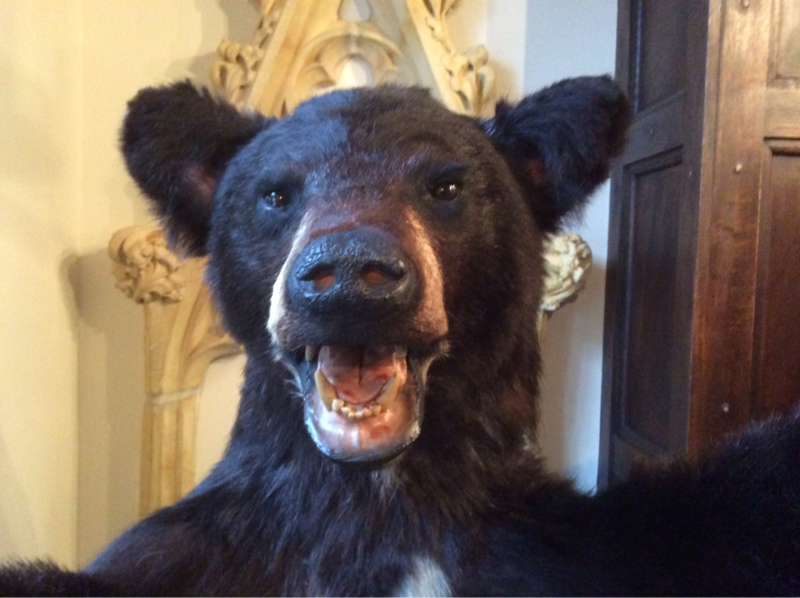 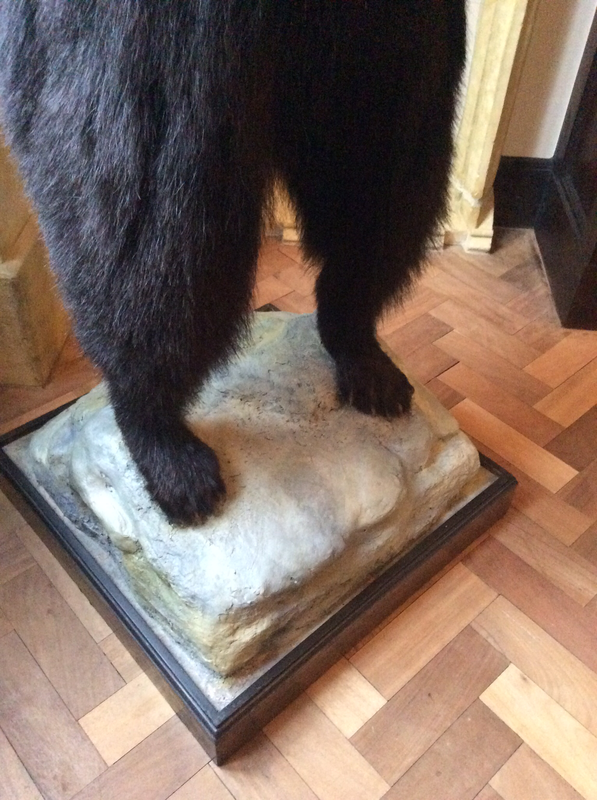 Bertie Bear as he's now been named back home at Maunsel house.